What a wonderful celebration of students and positive mental health that we experienced yesterday! 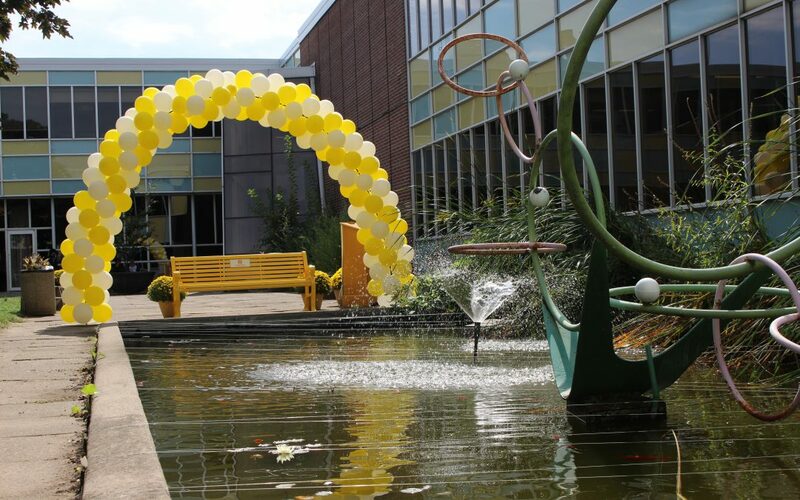 Centennial College launched its first Friendship Bench and #YellowIsForHello mental health campaign at its Story Arts Centre campus in Toronto, ON. 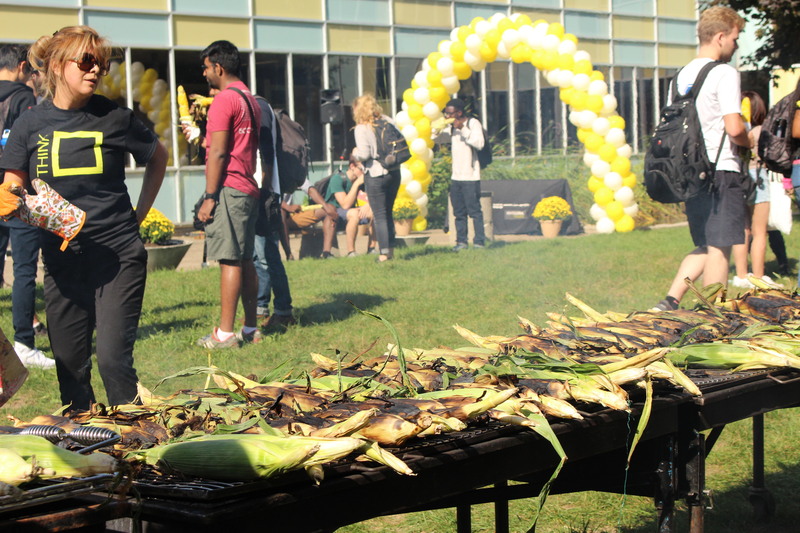 Before the official unveiling ceremony, students, faculty, the media, and the community were welcomed to the campus with a corn roast, which was enjoyed by all! The faculty really stepped up by slaving over the hot coals for hours and preparing/serving hot mulled cider! 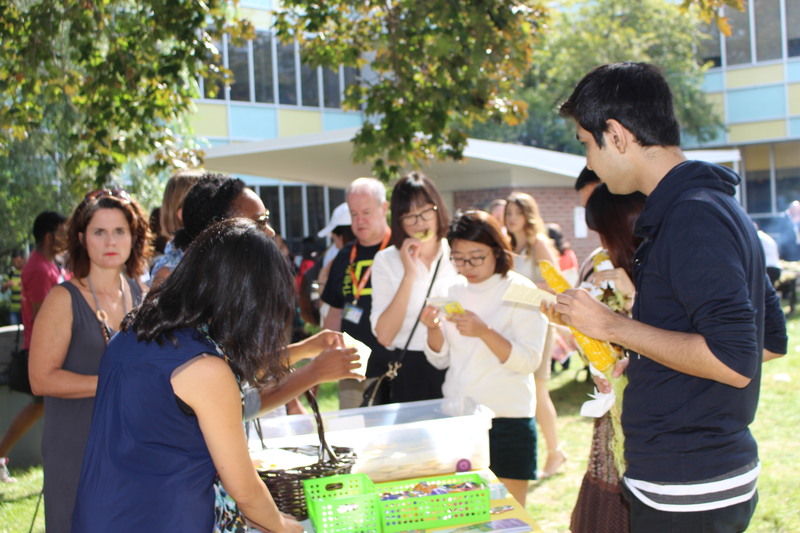 It was great to see the international students enjoying this little slice of Canadiana, many of which had never tasted corn or cider before! 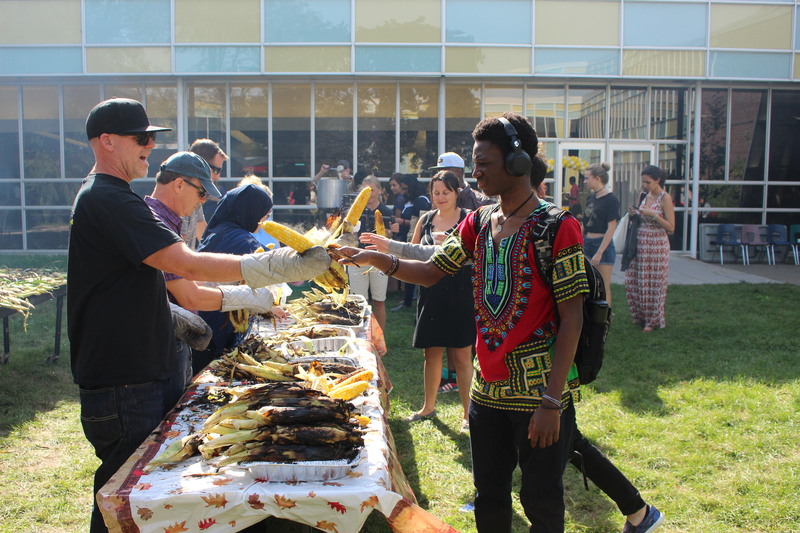 Students enjoying the corn roast before the official unveiling of The Friendship Bench. 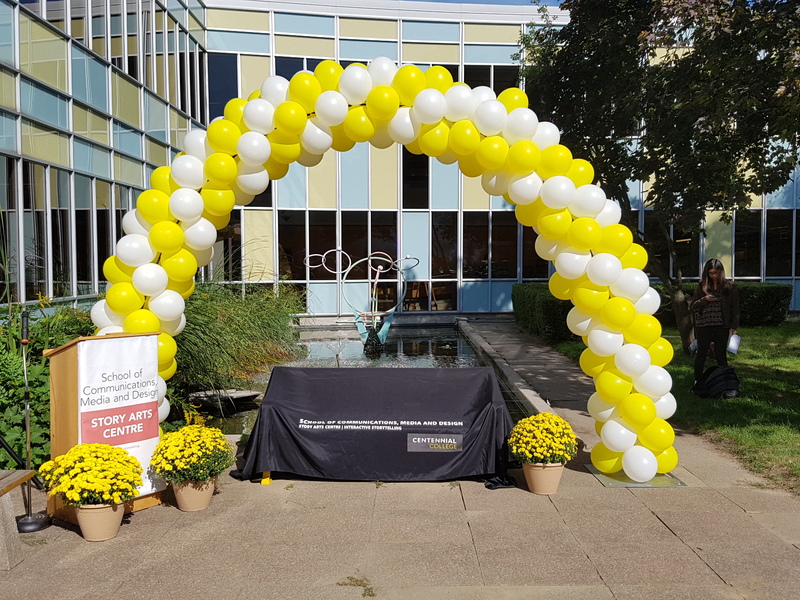 Before the festivities at the campus’s courtyard, The Friendship Bench was placed in its home and prepped for the presentation ceremony and big reveal. The Lucas Fiorella Friendship Bench, covered in anticipation of the big reveal. Vice President, Student/Community Engagement preparing for the presentation ceremony. 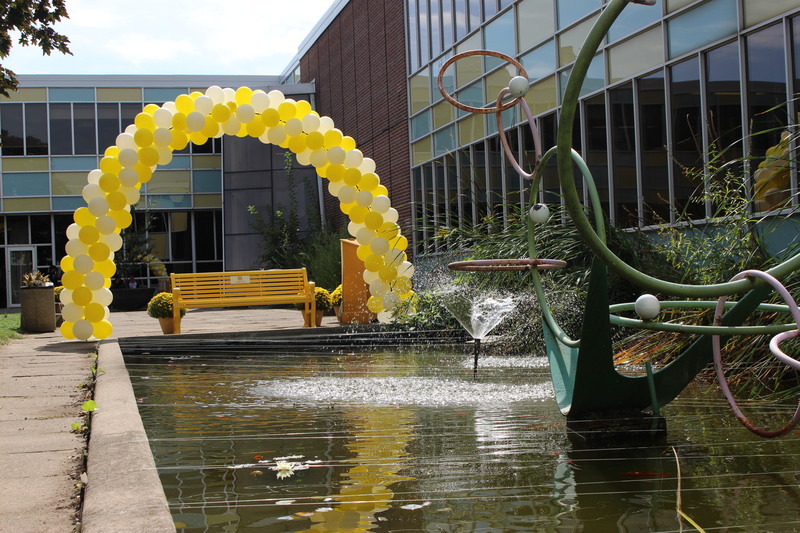 One of the main goals of #YellowIsForHello campaign and The Friendship Bench is to connect students to the available on-campus support teams that can help them manage stress, anxiety, and depression. And the unveiling ceremony is no exception! 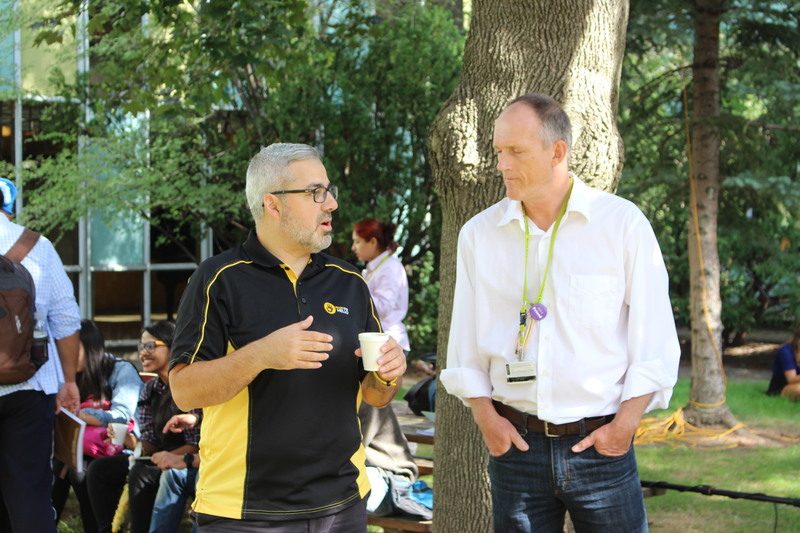 Centennial College’s counselling team were on hand to engage students in conversations about mental health and to ensure all students were aware of the available on-campus resources they have access to. 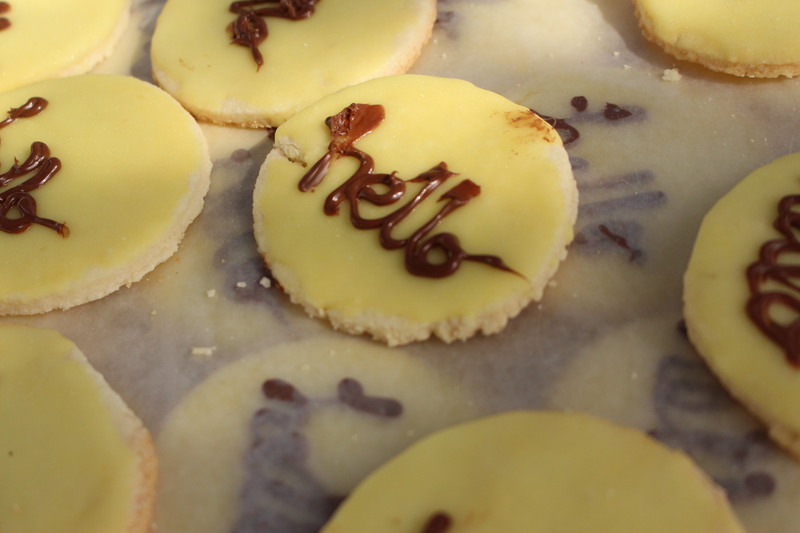 The “Hello” cookies were a good way to start conversations among students too! Story Arts Centre counselling team engaging students before and after the unveiling ceremony. Here’s a shot of The Lucas Fiorella Friendship Bench in it’s permanent location in the Story Arts Centre campus, overlooking the Koi pond and visible from all the floors that surround this beautiful courtyard year round. It’s our intention and hope that this bench inspires many peer-to-peer conversations about mental health, and connect those who may need help with available on- and off-campus support. Many thanks to the faculty at Centennial College’s Story Arts Centre for their support of our program and the mental well being of their students. 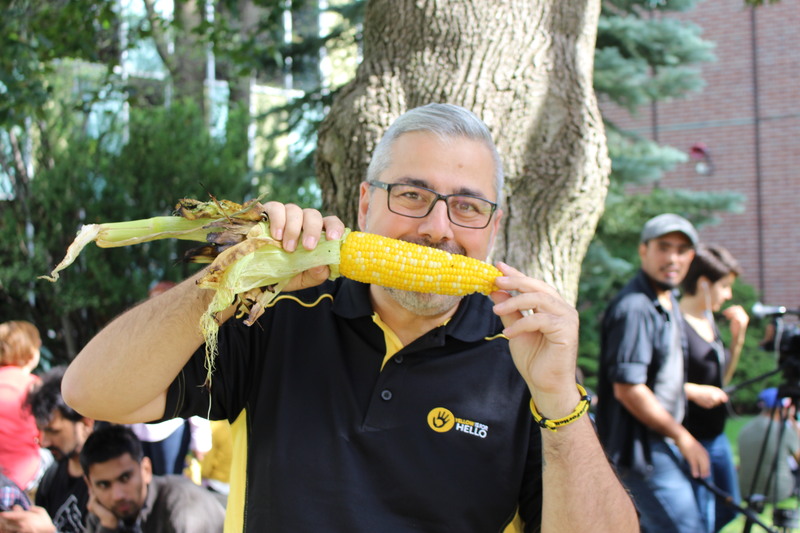 And thanks also to the many people who helped the college raise funds to initiate this program on campus, including the wonderful team at Strategic Objectives PR.